It’s time to collect those stickers once again because the Starbucks Planner 2012 is here. 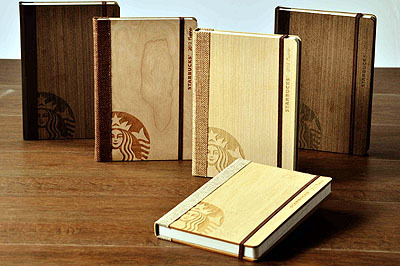 And this year, Starbucks is offering 5 color variants for the 2012 planner. This year’s variants have the Green Planet theme and these planners are made from 70% recycled paper. The colors from light to darkest are: Poplar, Bamboo, Cherry, Spruce and Oak. The planner is smaller as compared to the past years and the hard covers are made from engineered wood. 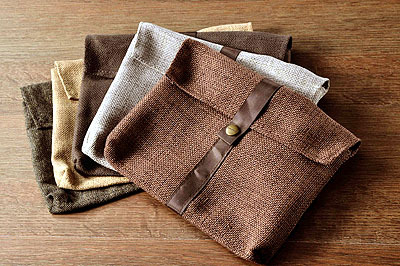 And this year, the Starbucks 2012 planners will be coming in burlap pouches that are very usable. Moreover, all planners will come with coupons (you get 9 this year) and a bookmark. Lastly, there are now two ways of getting the Starbucks 2012 Planner. First, the traditional 17 stickers (9 Christmas beverages plus 8 core beverages, bottled drinks excluded). And the second way, by simply getting 23 stickers of the core beverages only, again bottled drinks don’t count. The period for accumulating stickers is between November 3, 2011 until January 8, 2012. This project is still in support of SparkHope.